Who do you know who is looking for something different? Something that doesn’t look like everyone else’s home? Well, here it is! This 3 bedroom, 3 bath, 2590 square foot steel-framed home with metal roof in Lago Vista, Texas is one-of-a-kind in a great way, and guess what? It is available! The lower level has spacious rooms, an open layout, exposed beams, and a soaring fireplace. 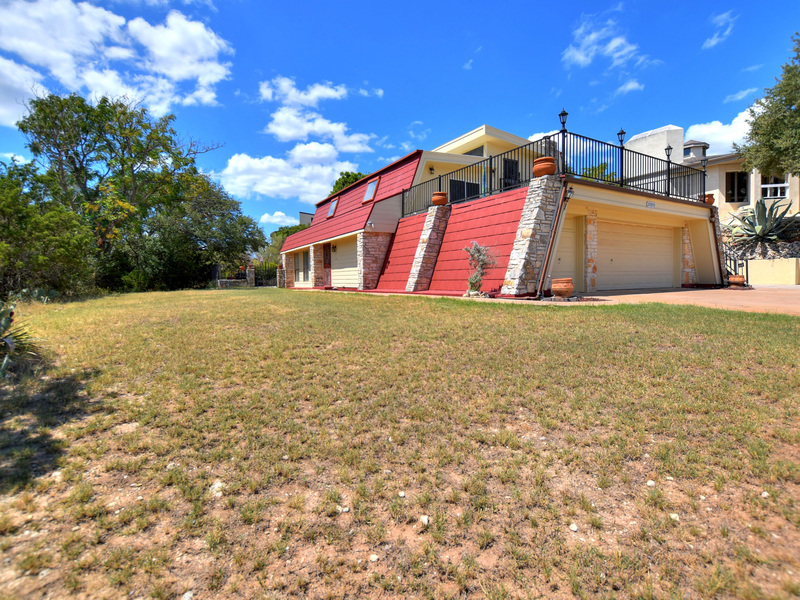 It has a huge kitchen and a view of Lake Travis from the upstairs concrete deck, accessed from all levels. Walk or drive your golf cart to the Highland Lake golf course or the Grille at Highland Lakes. Great food and music! This home has a unique, custom design. It needs some updating, but it’s priced accordingly. Amenities as a member of the Lago Vista POA include access to several private waterfront parks, boat launches, pools, a fitness center, and more, for only about $13 a month! Live close to Lake Travis, but also to hospitals, restaurants, and shopping, and within the award winning Lago Vista ISD. Spread the word and help me find a buyer for this sweet couple who needs to sell! Check out more photos and details HERE. Call me for more information – 512-657-0661.